We offer a variety of six different Stiga Snow Kicks, Stiga Snow Kick STX, Stiga Snow Kick Cross, Stiga Snow Kick Combo, Stiga Snow Kick Lime, Stiga Snow Kick Red and lastly the Stiga Snow Kick Free. The blue coloured Stiga Snow Kick STX is a trick scooter designed to ride on small snowy slopes. 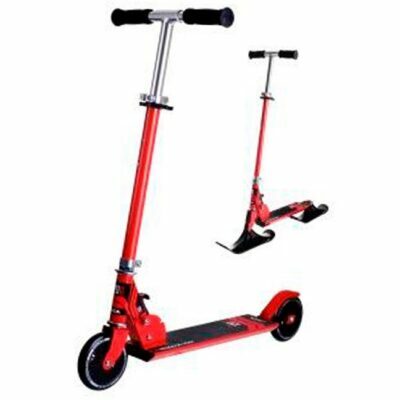 The Stiga Snow Kick STX has an aluminum deck with a one piece handle bar and triple clamp which creates a durable frame that allows you to ride down small hills. 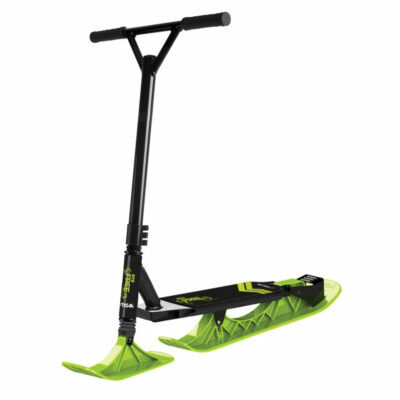 The Stiga Snow Kick STX has a maximum rider weight of 75 kg on hills and 100kg maximum weight on ground level. Our orange coloured Stiga Snow Kick Cross was made with an extra durable deck. 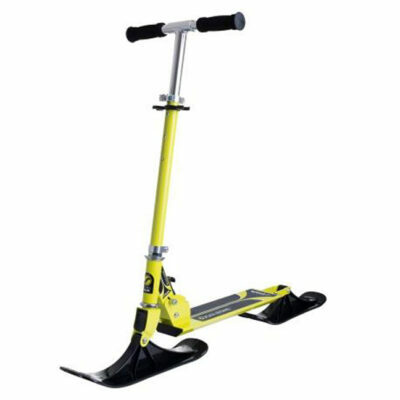 The Stiga Snow Kick Cross can be adjusted to three different heights and its maximum rider weight is 50 kg. The Red Stiga Snow Kick Combo can be ridden every day of the year! 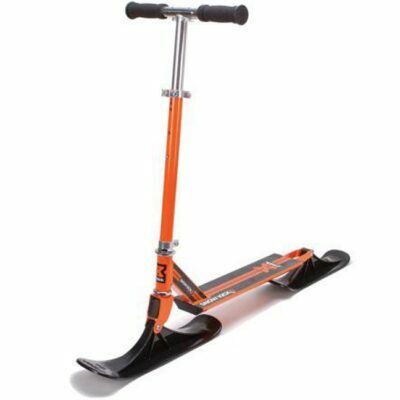 The Stiga Snow Kick Combo comes with skis to ride in the snow as well as wheels which can be easily converted to a scooter when riding on sidewalks in the summer time. The Stiga Snow Kick Combo has adjustable handle bars as well as folding device for easy storage. The Snow Kick is available in Red and Lime. The Stiga Snow Kick is light weight, made with steel and aluminum with skis in HDPE. The Stiga Snow Kick is easily stored thanks to its trouble free folding system. 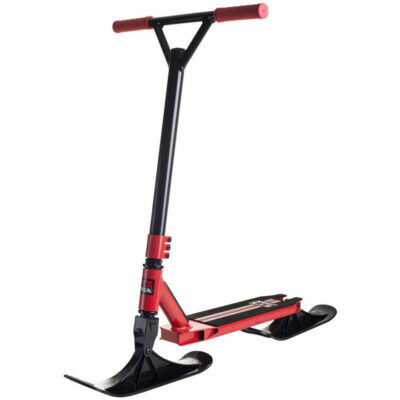 The Stiga Snow Kick can be adjusted to three different heights for maximum rider’s weight of 50 kg. Stiga Snow Kick Free is Stiga’s newest version of the Stiga Snow Kick. 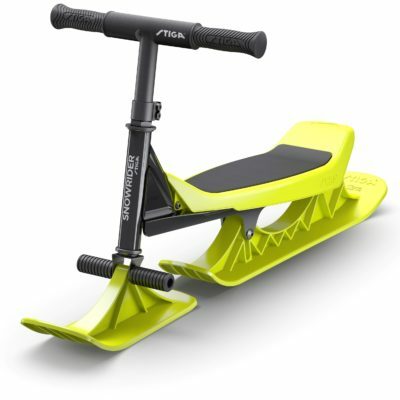 The Stiga Snow Kick Free is designed for downhill riding. The long and wide rear ski and carving feature work together for the perfect ride down small hills. The front fork is extra sturdy and also has a reinforced deck. The Stiga Snow Kick Free has TPE grips and deck tape for non-slip surface. Maximum rider weight of 50 kg. Should your Stiga Snow Kick experience any signs of wear and tear, please visit our shop for your Stiga Replacement Parts. Please remember to be safe when riding your Stiga Snow Kicks and wear a helmet.